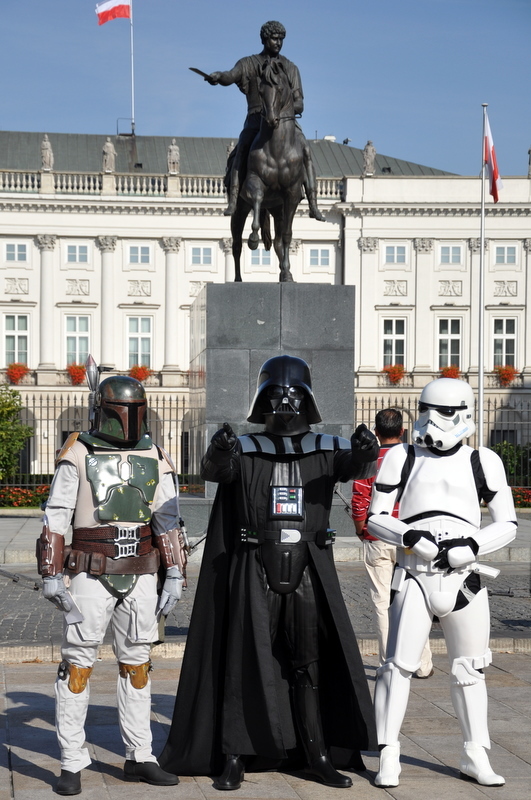 The Force was strong in front of the presidential palace in Warsaw. 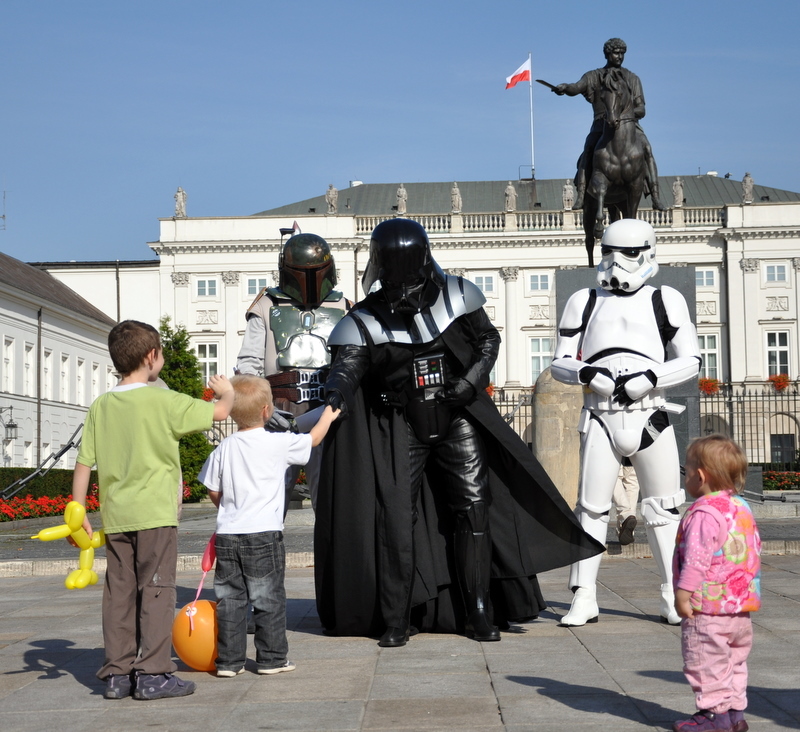 While looking at the kids walking up to Darth Vader, scary as he might seem, only one thought went through my mind; these kids have no clue who that is. In today’s age of CGI where anything and everything is possible, what kid is gonna pay attention to George Lucas’ attempt back in 1977. The costumes however have had no problem generating fear, or at least attention, some 30 years later.